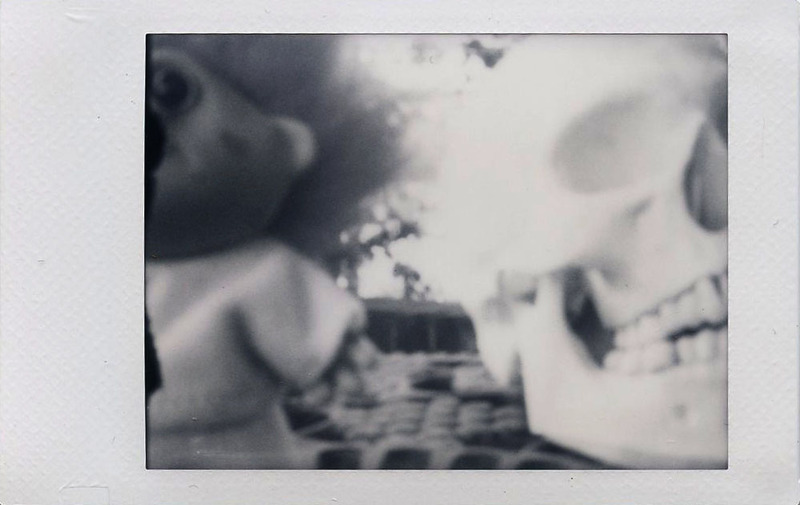 26 Instax Packs - #11 - Pinhole photography with Diana F+ with Lomography Instant Back using Fuji Instax Monochrome film. 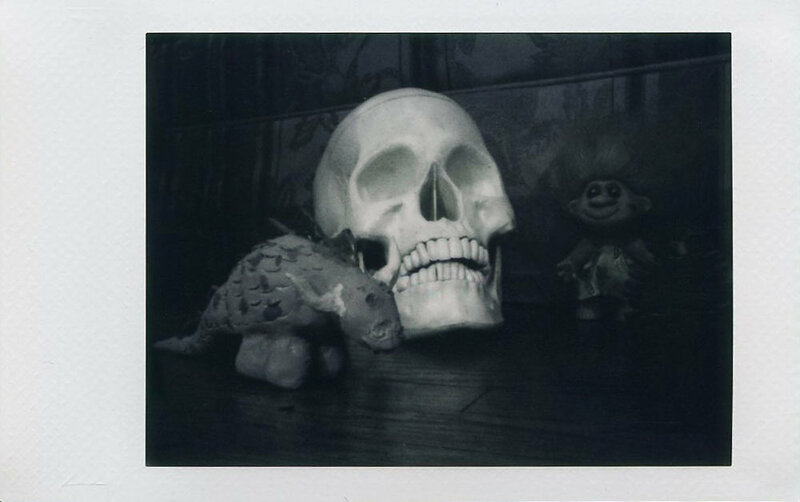 I was in the mood to shoot some instant film and decided to set up a couple of shots around the house with things from my collection - a skull model that I just finished building, a troll from my mother's troll collection, and a dragon that Alan made from clay when he was growing up. 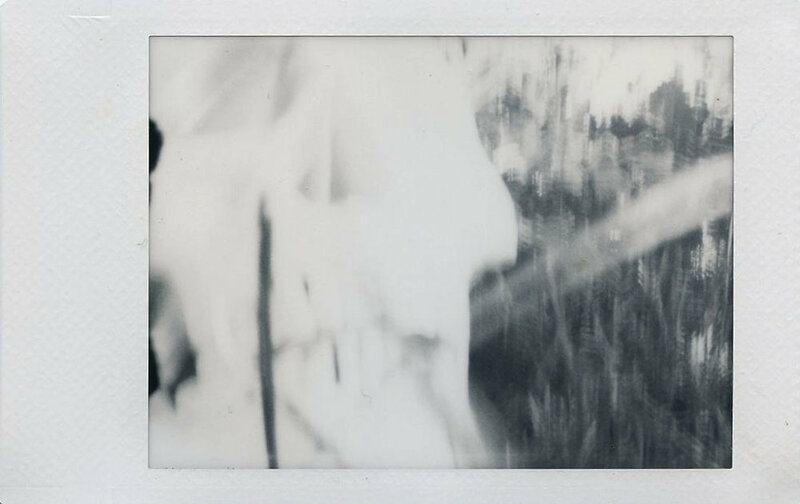 I made a few adjustments to my method of making pinhole photos with the Diana F+ from the last attempt that I made on Pinhole Photography Day. The previous photos had turned out very blurry due to the camera shaking when the shutter button would release after a long bulb exposure. 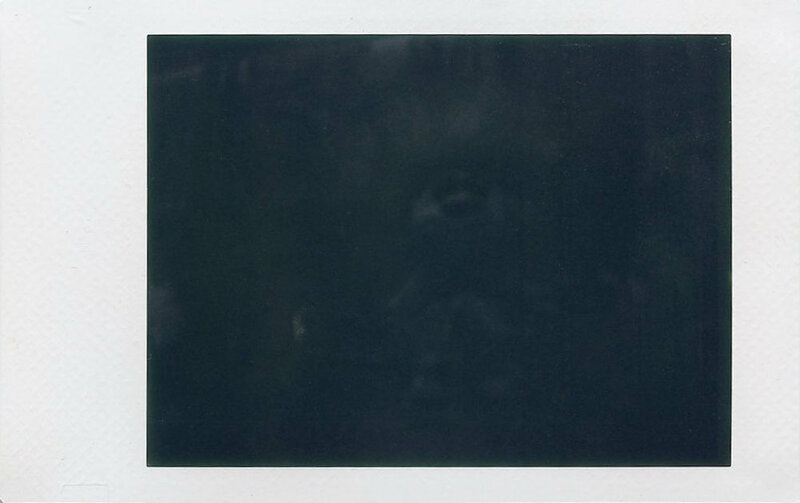 This time I used the shutter stop to keep it open in the bulb position after placing a piece of electrical tape over the pinhole. This way I could make the exposure without activating the shutter button, and causing camera shake. The results from this method worked much better. 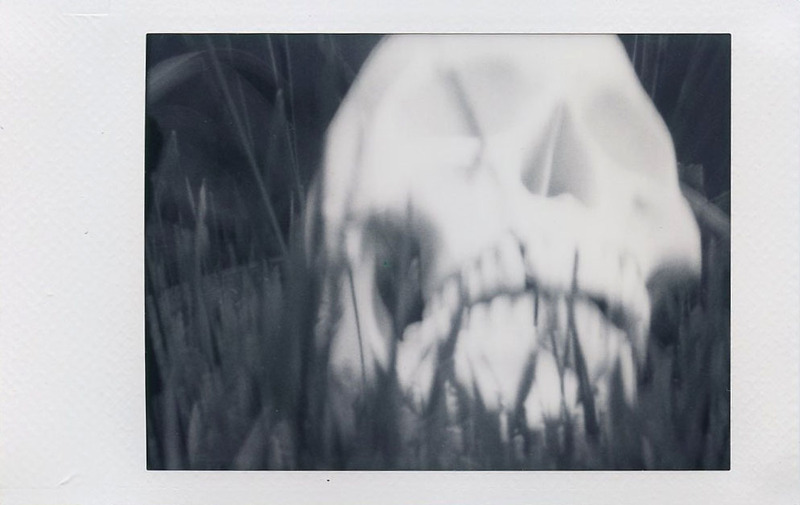 After shooting a few photos out in the grass with my skull and troll (I don't know what my neighbors think I'm doing) I went inside to experiment with taking pinhole flash photos. This was very interesting as I had not thought of doing this until I heard about it on a photography podcast. I like the effect that I got with the skull and dragon with the troll in the background with glowing eyes, caused by the flash. 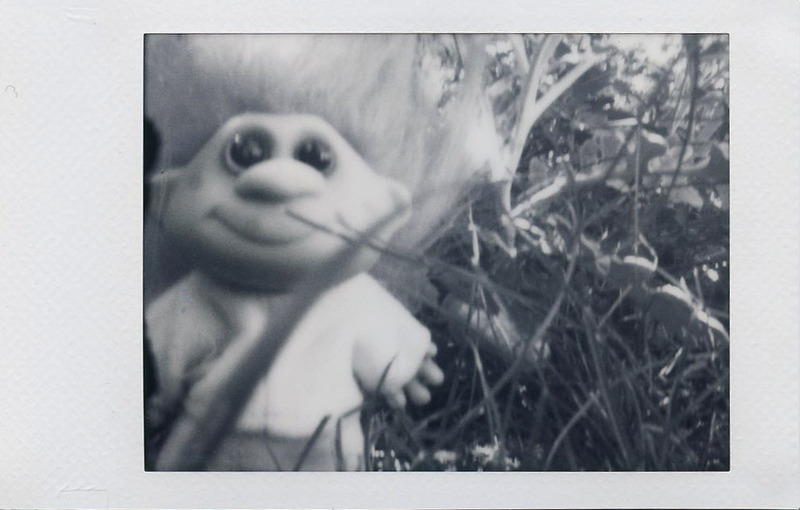 I should mention, this photo was taken with the Diana lens on the camera using the Pinhole setting, which turned out a little sharper than the Diana without the lens using the pinhole. 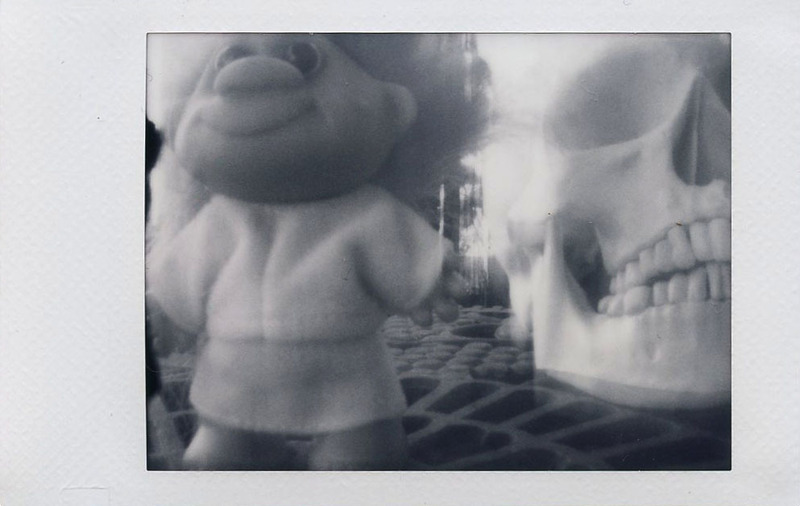 I was pleased with the results from this pinhole photography experiment and would like to try flash photography with my Ondu MKII 6x6 and Holga WPC.